Little wagons represent childhood dreams and adventure for most of us. Even if you never had one as a child, you know these enduring symbols of childhood inspire excitement and imagination of anyone who sees them. That is the spirit of the Build a Wagon charity team building activity. 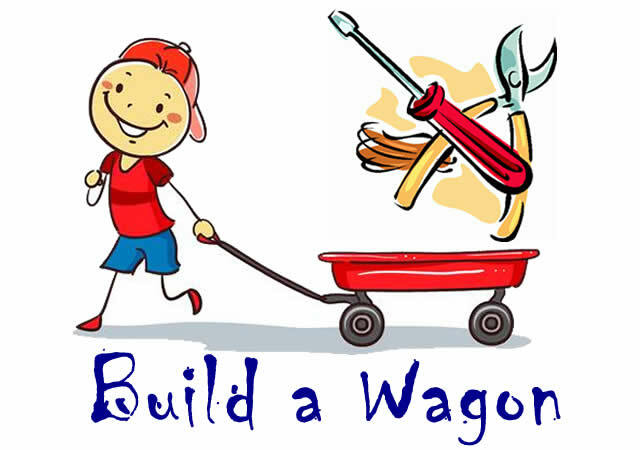 Your team will be building little wagons for local children or families. It is a message of hope, one which will bring your team together as they experience the bonding effects of working together for a good cause. This charity team building activity is designed to not only bond your team together, as they work to fulfil corporate social responsibility initiatives but also learn valuable skills for the workplace. Outcomes include increased productivity, creative thinking, resource management and improved communication. Our facilitators will lead your team through a series of thought-provoking activities and fun challenges, with the charitable aspects keeping the team even more motivated to succeed. Since the little wagon can be filled with any type of treasure, our Build a Wagon activity is fully customizable. We can tailor the contents of the wagons to fit the organization’s mission.